The National Road is a comprehensive history of the first federally financed interstate highway, an approximately 600-mile span that joined Maryland, Pennsylvania, West Virginia, Ohio, Indiana, and Illinois in the nineteenth century. 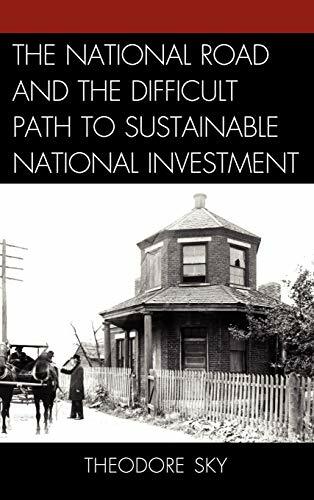 This book covers the road's contribution to the cultural, economic, and administrative history of the United States, its decline during the second half of the nineteenth century, and its revival in the twentieth century in the form of U.S. Route 40. The story of the National Road embraces an account of its building, its constitutional significance, the unique culture that it represented, the movements and trends that transpired across its route, and the symbolic value that it held, and continues to hold, for the American people. Beyond its status as an American heritage symbol, it serves as a forceful reminder that the United States must continue to pursue the goal of sustainable national investment that began with the National Road and comparable projects during the early republic. Theodore Sky is distinguished lecturer at Columbus School of Law, The Catholic University of America.